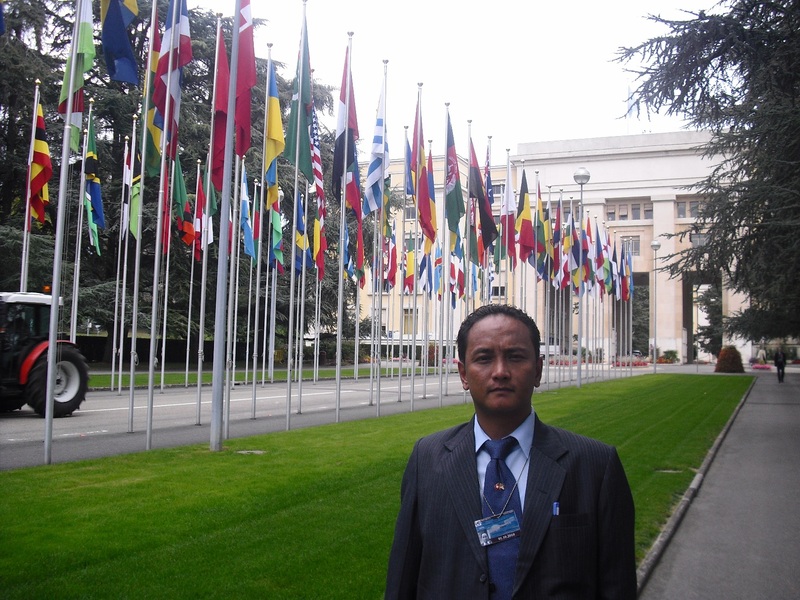 At present I am in Geneva, attending the ongoing UN 15th Human Rights Session. 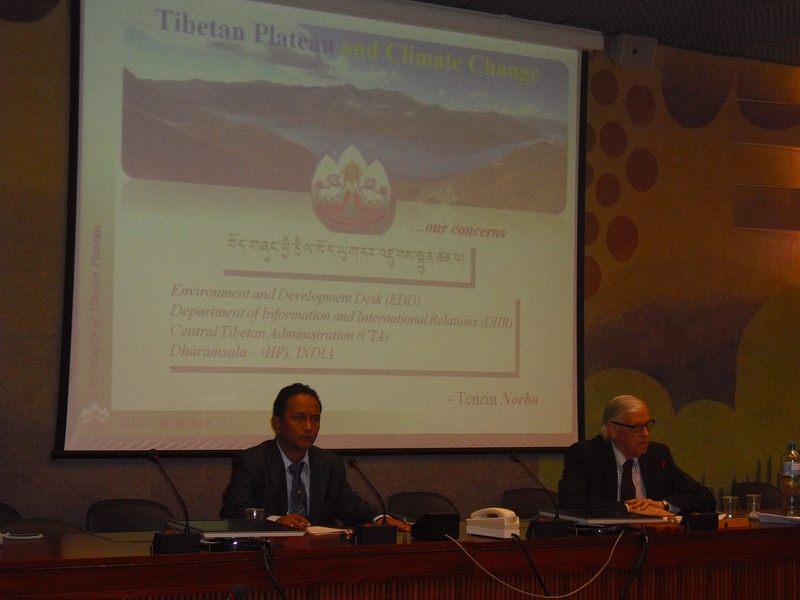 During the session there was a side program and Mr. Tenzin Norbu, Head of the Environment and Development Desk under DIIR/CTA Dharamsala, gave a detailed account of the environmental concerns on the Tibetan Plateau and how these impacts are creating problems not only for the six million local residents but also for the 1.4 billion downstream population. 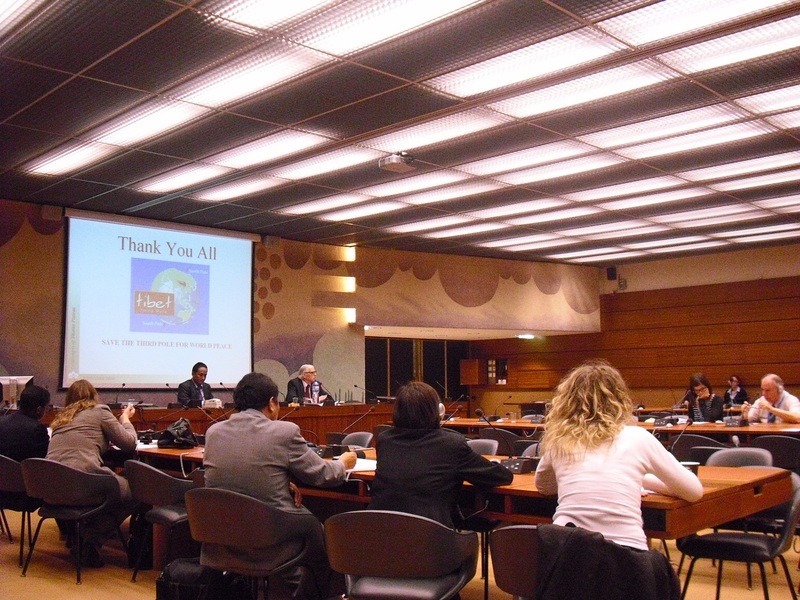 This UN side event was organised by Society for Threatened Peoples, an ECOSOC accredited NGO. 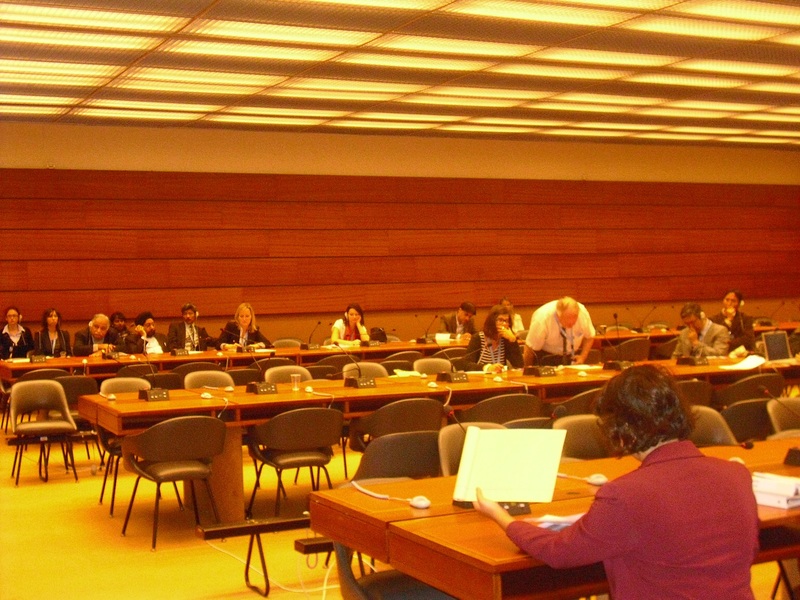 Amongst the other 40-50 participants, there were representatives from Czech Republic, USA, Switzerland, EU, Belgium and some international NGOs. Nomad removal from their ancestral pastoral grounds to concrete blocks. Later during the Q&A session, Tenzin Norbu explained further about the ongoing mining activities on the Tibetan Plateau and its immediate effect to the local residents citing examples of recent mining protest by local residents. 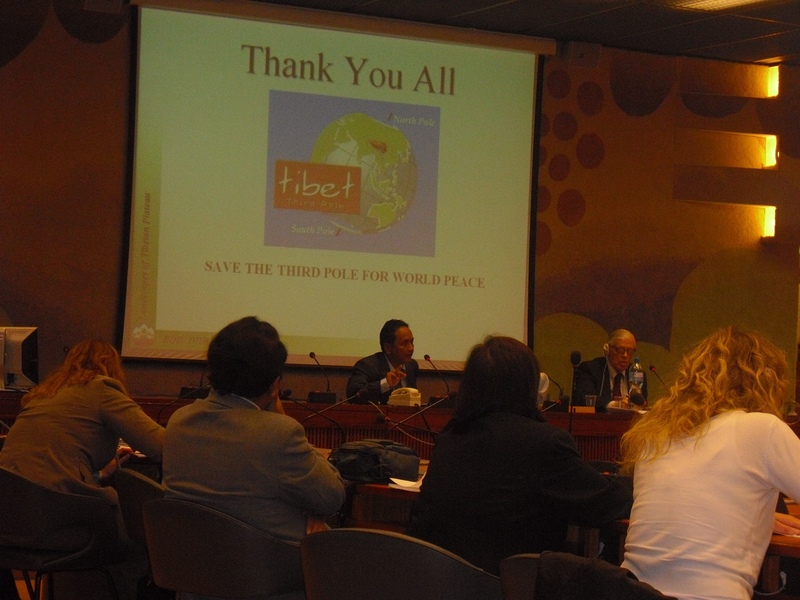 The event was concluded by a screening of the documentary “Meltdown in Tibet”.